On May 16th, 2006, I proposed to Andrea...and she said yes!. Having been to a number of weddings, we pretty much knew what we wanted to do for ours, and at most of the weddings we've been to, the guest tend to be planted in their seats. So, wanting to have a serious party, Andrea and I placed a lot of importance on finding the right DJ. After listening to one of your mix CDs, our choice was very easy, and we felt very confident that you would keep the dance floor packed! As a matter of fact, I recommended your services to my best friend before my own wedding! On the day of, the ambiance music was perfect, and as for the aprty, sure enough the dance floor was packed the whole night! From both our younger and older guests, we received numerous compliments on how great the DJ and music was. I can't say enough about how awesome the tunes were. Andrea and I truly and absolutely loved it! Thanks Burger, we'll never, ever forget that party! Thank you so much for making our wedding day wonderful. I was pleasantly surprised to see that you were at the hall hours before the reception to set up and prepare for the evening’s event. As per our previous discussions, you played all the music we had requested, even the traditional Croatian music for the older generation. Everyone knows it’s hard to please all the guests at a wedding, but my guests even commented how much they enjoyed the variety of music. I personally enjoyed seeing the dance floor full and everyone had a great time. Thanks again for making our wedding reception magical. I would definitely recommend your services to anyone who is looking for a great DJ for any event. Yup, no question, Smooth B and his crew, can definitely get a crowd going. From securing the date, to the actual wedding night, they showed great professionalism. On the night of the wedding, they created an atmosphere that all of our guests related to; whether young or old. The music was off the chart, and they played exactly as we had requested. They're great at feeling the crowd and switching up the music accordingly to ensure a packed dance floor right through. 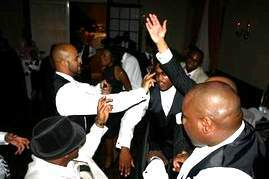 Our guests were raving and many interested in securing them for their own events and weddings. I definitely recommend the smooth sounds of Smooth B. He's undoubtedly one of Toronto's top Deejay's. We not only recommend them, but vouch for them. Do yourself a favor, and secure them for your events!! We want to thank you so much for being the DJ at our wedding. The music was PERFECT! We were particularly impressed at how you catered to everyone even tough we never gave you a ‘song list’ to choose from. Not only did you cater to both sides of our family, but you managed to keep the celebration going the entire night! 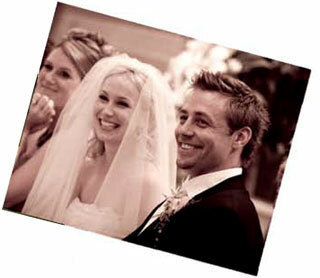 We’ve had numerous compliments from our guests who said it was the best wedding reception they’ve ever attended. Again, thank you and hopefully we’ll hear you playing at another wedding soon! On behalf of myself and my wife Nicole, we would like to thank you for doing such an awesome job at our wedding reception. Given the unusual circumstances, you managed to display patience and flexibility while ultimately remaining professional. 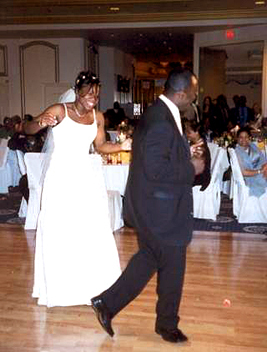 While speaking to some of our guests who were in attendance, they mentioned that they had more fun and danced more at our wedding than any other wedding. This is definitely a true testament to your level of experience. Please feel confident that Nicole and I will recommend your services to anyone that requires a DJ for any social or formal event. I would like to take this opportunity to thank Norman and his staff for the wonderful job they did performing disc jockey services at my wedding. My wedding was August 31, 2002 and Smooth B did not disappoint. They played music for each generation and they had everyone dancing all night. were very glad we had chosen Smooth B to be our DJ and we would choose him again. Thanks Smooth B for making our wedding a success to the last minute everyone walked out of the banquet hall. We absolutely loved our wedding! The music and flow of the evening just made the night PERFECT! We are still getting compliments on how amazing our special day was. Your intuitive sense of timing coupled with your calm professionalism and musical flexibility was very much appreciated. We had such good time! Thank you for our wedding CDs it is such a great reminder of our special day. We can't wait to celebrate all of our future milestones with you.